Schoola: $15 Off Your 1st Order = 8 Items of Kid’s Clothing for $8.92 Shipped! Schoola is a new online consignment store for children’s clothing that not only offers gently used clothing at discounted prices, but also gives a portion of all sales to help fund local schools! Right now they are offering a free $15 credit when you sign up here. The credit does not apply towards shipping costs, but you can still get some incredible deals! 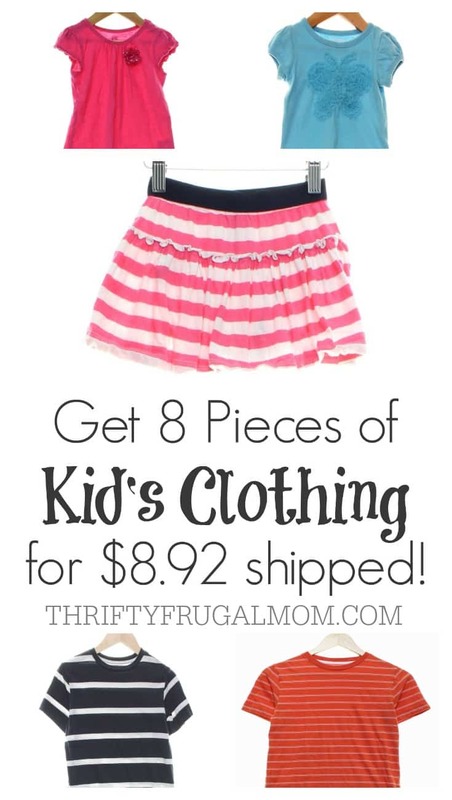 Here is one scenario that will get you 8 items of kid’s clothing for just $1.12 each, shipping included! 1. Sign up for a Schoola account here. Obviously, you can choose higher priced items as well, your cost per item will just be higher. Thanks for letting me know about this site. I'm excited to shop around and see if I can't find some things for my kids. Esther, hope you are able to get some great deals!